Many people find out only in hindsight that they have prioritized their lives amiss; only with the perspective that comes with age and time are they able to see that they should have done things differently—spent more time with loved ones, given more of themselves to their children, been kinder and more present to their friends and associates—and so they leave this life with regrets. Arjun Sen is fortunate because he allowed a simple yet profound conversation with his daughter to change his life, allowing him to see, while he still had time, what was truly important. Today, Sen calls himself “first of all, a father,” but that was not always the case. Engaged in building a prestigious corporate marketing career, serving as a senior executive in several Fortune 500 companies and pioneering one of the largest online businesses in the country, Sen was surprised when his eight-year-old daughter sadly confronted him with the statement, “You don’t know me, Dad.” Feeling challenged, he became defensive. His daughter then asked him three questions: “Who is my best friend? What is my favorite restaurant?” and, “What is the best thing you and I have ever done?” He failed to answer even one of them correctly. “I could see my future life,” Sen writes. “I would be sixty-five, have tons of money in the bank, and be retired from a very celebrated career. I would have made it onto numerous who’s who lists, but my life would be about counting…the days until two annual phone calls from my daughter.” The Father’s Day and birthday calls would be brief—they wouldn’t have much to say to each other—and the sound of her hanging up would echo in his ears. This vision became the biggest wake-up call of his life. 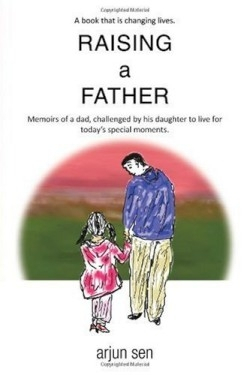 Sen’s story is about “how a little girl used all her charm, her patience, her love, and her caring nature to train her dad.” It is also the story of a father who cared enough to wake up to what his daughter had the courage and wisdom to say to him. Seeing the world and their relationship through her eyes, Sen was able to grow as a father, as a professional, and as a man. He came to realize that the professional world had its priorities reversed, and that only honoring one’s commitments to one’s family could bring the deep satisfaction and sense of worth that makes for a life well lived. Although Sen speaks as a man and a father, today’s mothers will also find much to appreciate in what he has learned about parenting. In short vignettes, Sen shares memories of his revered grandmother in India and events of his life in America with his daughter, highlighting the importance of a caring and wise elder in the life of a child, and the beauty and grace of a father—daughter relationship filled with wonder and respect.